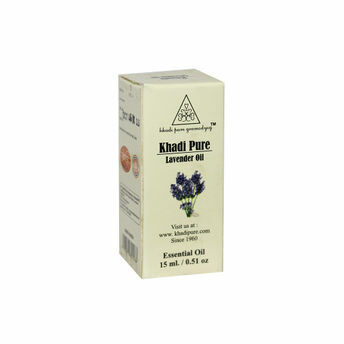 Khadi Pure Gramodyog Herbal Lavender Essential Oil is one of the most favourite essentials oils. As it has wonderful qualities and also smells great. It is calming and relaxing which combats stress and crisis. While the antiseptic properties helps with cold, flu and other aliments. Apart from that it supports female health and on the skin it has a healing effect. While preventing scarring and balancing the skin.